This is the common type of classroom of most schools. The most obvious things that you may not be able to see in nowadays classrooms were probably the “blackboard” and the type of “tables and chairs”. 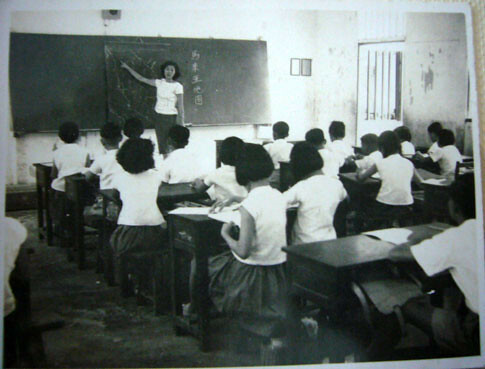 The photo above taken in 1962, shows a typical classroom in a rural area then. 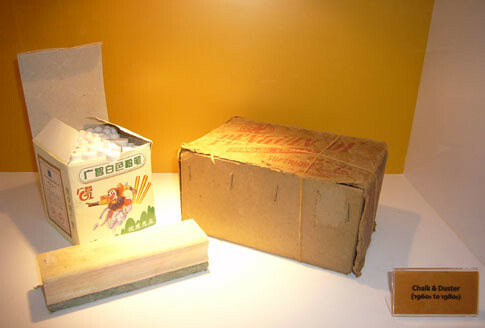 Below are some of the things we used in the classes and schools of the 60s and 70s. 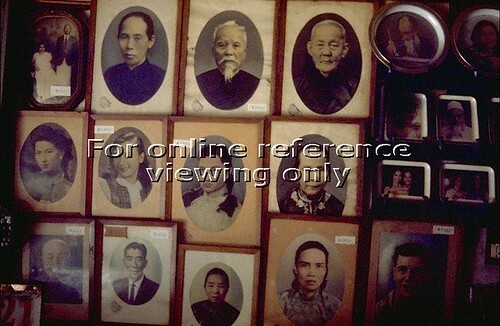 Credit to National Archives of Singapore for the National Heritage Fair in 2007. Typical PE ‘tools’ then. 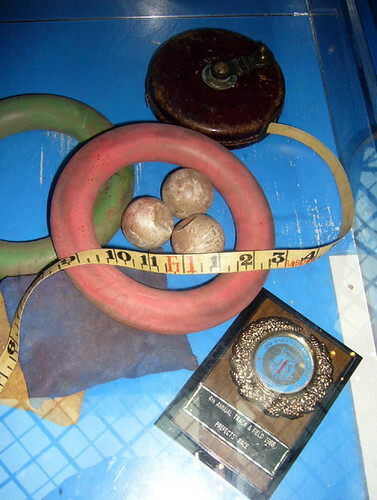 I remember these round rubberised type we used during PE lessons, also not forgetting those bean bags. I’m surprised to find out from my daughter that it’s still being used now. 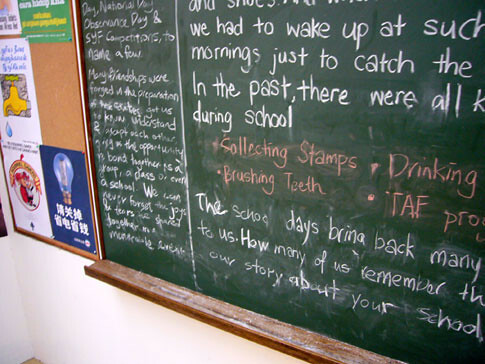 Of course to write on a blackboard, you need to use chalk and not markers. There were different colors for chalk too. To erase, we used the duster. The other use of the duster is for the teacher to throw it at those naughty or sleeping students. Remember those chalk and duster marks left on the face once the duster hit your face. 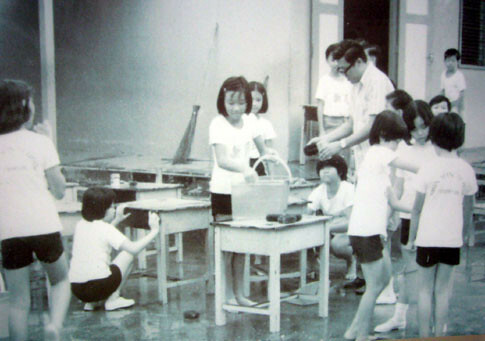 Back then, no parents seem to bother to complain and students also don’t bother to tell their parents too. 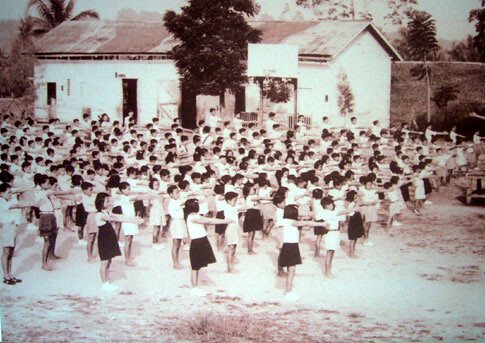 I had my primary education from 1969 to 1974, when was yours? When I was browsing through some old envelopes at my parents home, I came across 2 old photo studios envelopes. Nothing special it seem, but on closer look – I find that most photo studios at that time like to emphasize on “air conditioned”. 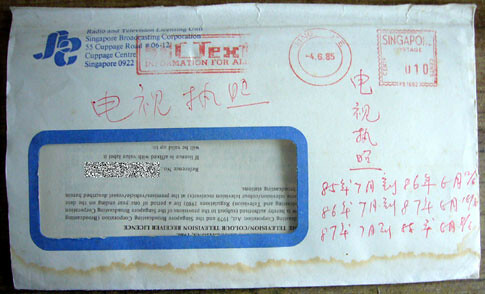 Looking at the postal code and telephone numbers on the envelopes, we can guess that it should be around 80s. 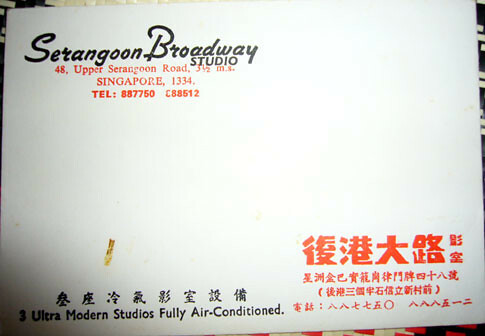 The Golden Studio should be after 1985 since the telephone number is 7 digit while Serangoon Broadway should be between 1979 to 1984, as the telephone number is 6 digit (before 1985) and the postal code is 4 digit (after 1979). 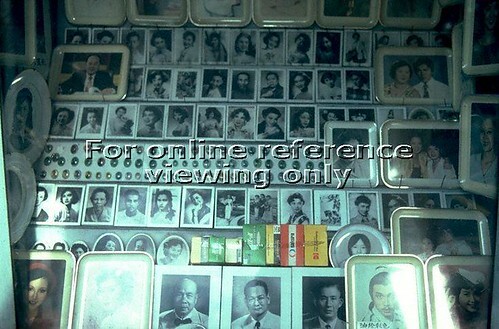 So I belived it should be early 80s or late 70s where photo studios started to have air conditioned in their setup. 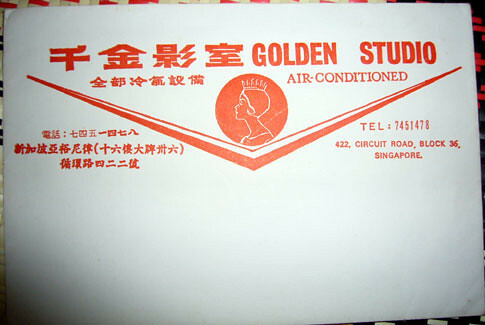 So they emphasized on the word ‘air-conditioned’ as maybe it was rare to have aircon at that time. When I showed some friends the above logo, some may thought that it was those fake HDB logo that those bogus contractors used to cheat housewives into renovating their flats. 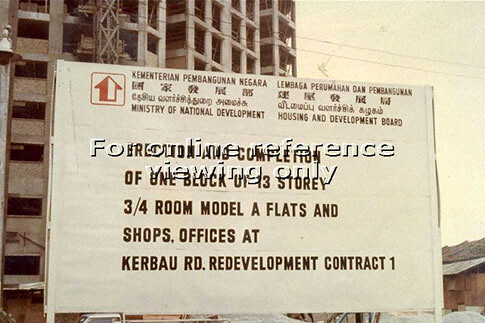 No, it is NOT those fake HDB logo, but the old HDB logo. 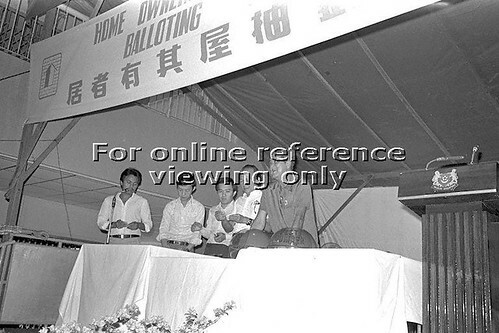 Most of us may know that HDB was established on 1 Feb 1960 as a statutory board responsible for Singapore’s public housing. 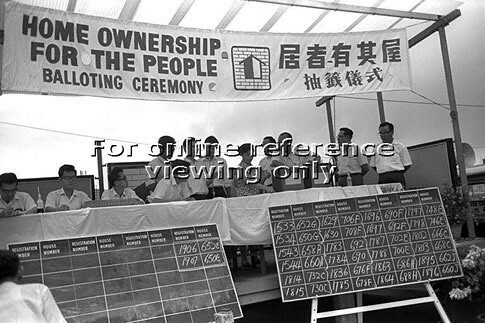 It’s objective then was of course to build low-cost housing for low-income Singaporeans to tackle the massive housing shortage inherited from the colonial government. Notice the difference between the old one? 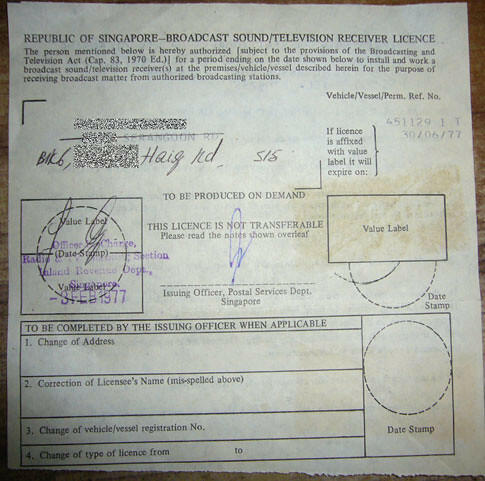 When I was ‘digging’ some old archives at my parents home at Haig Rd during the MUP (Major or Main Upgrading Programme) last month, I found my parents TV licence. 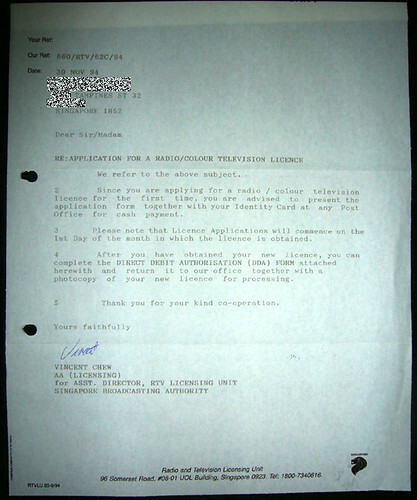 Here is a little story of the TV licence and our TV licence history. 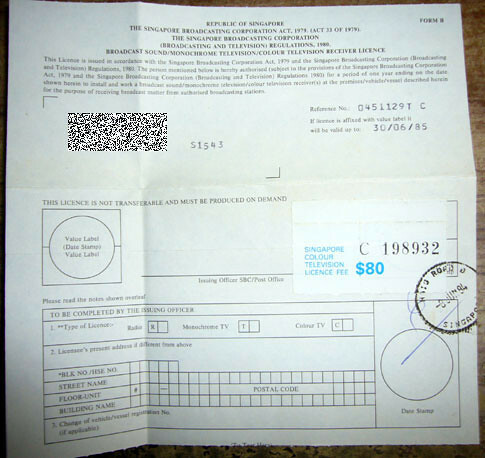 In most countries, a TV Licence is required for the reception of television broadcasts. It is a form of tax revenue to fund public broadcasting, thus allowing public broadcasters to transmit programmes without commercials. 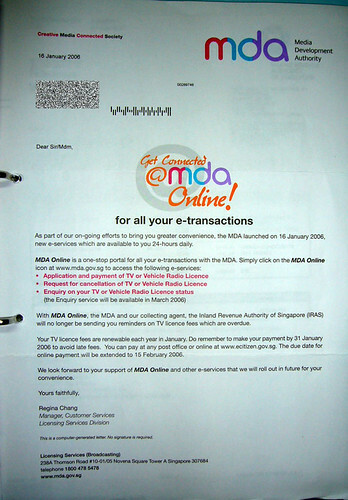 Though Mediacorp is not a public broadcaster, we still need to pay our TV Licence. 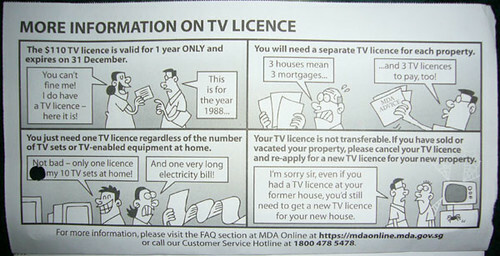 Yes, it’s S$110 annual licence fee and still plenty of TV commercials to watch. Don’t ask me why, as they have explained before – just take it or leave it hehe. 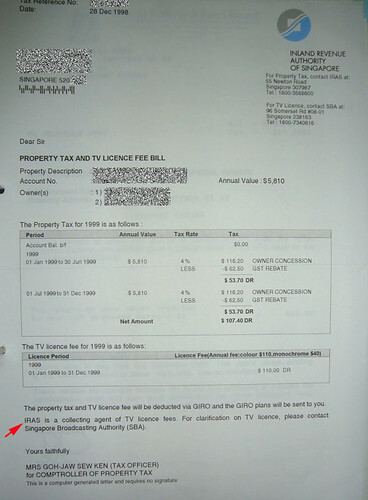 Note the TV licence fee in 1977 was $36 then. 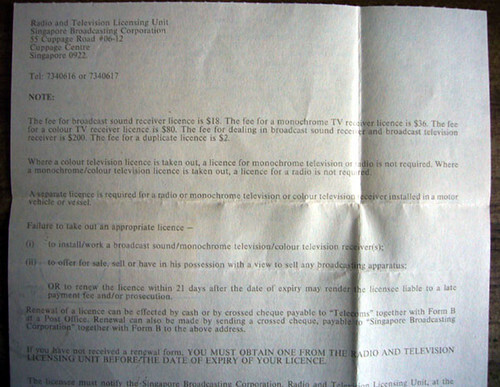 If I did not remember wrongly, ours was the Black and White TV (Monochrome) and as you can see from the above notice, there was only one flat fee for TV licence then. So maybe Color TV still not available yet. 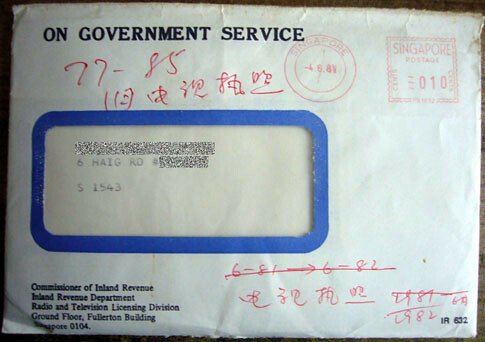 Also note the IRA (Inland Revenue Authority) at Fullerton Building was the collecting agent for the TV licence then. 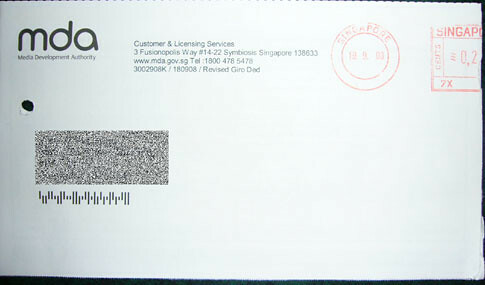 This time the envelope containing the TV licence had the SBC (Singapore Broadcasting Corporation) logo. Of course by then, we finally got our color TV and the fee was $80 for the color TV licence. Note some changes above. 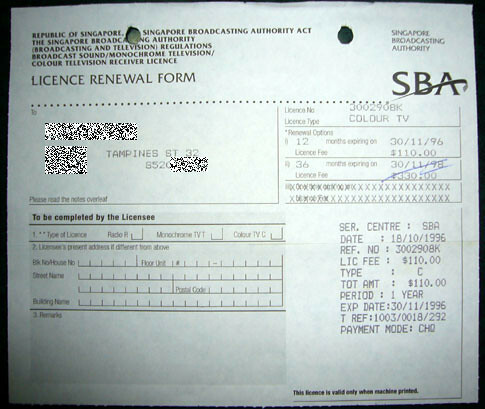 They have separate TV licence fee for Monochrome ($36) and Color ($80) TV licence. 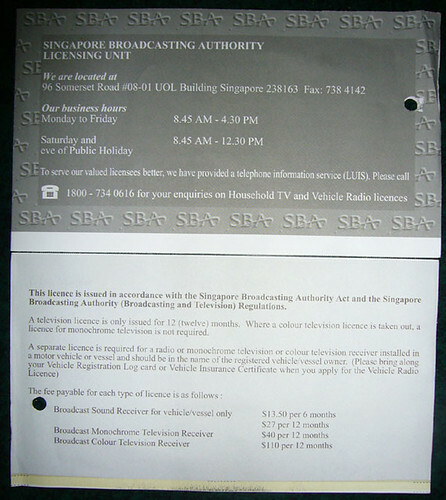 The collecting agent seems to have changed to SBC (Radio and Television Licensing Unit at the Cuppage Centre. 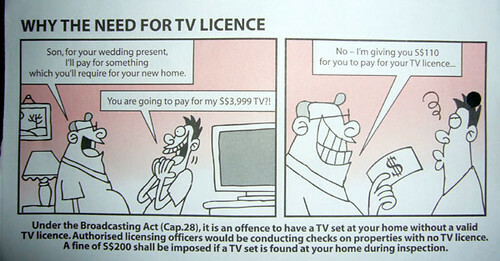 The fee for Monochrome TV licence was $40 while that of Color TV licence was $110. So in the 90s, there was still a need to split between Monochrome and Color TV licence, probably still some are using Monochrome in the 90s.